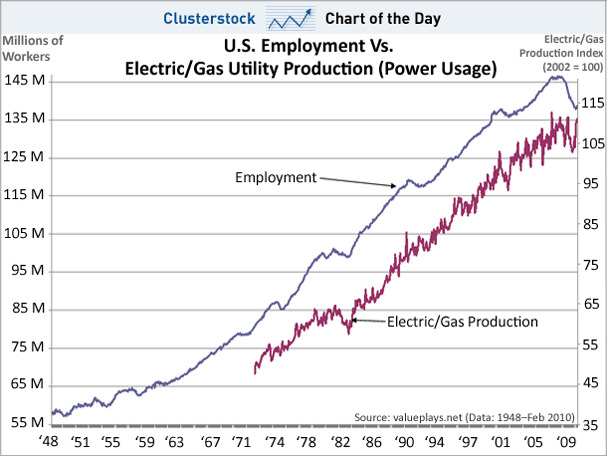 This relationship makes complete sense yet is frequently forgotten — There has been a simple long-term correlation between U.S. power production and job growth, going back decades, as shown below. 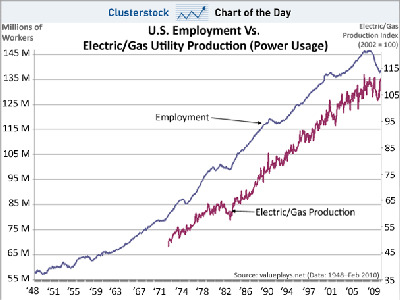 The chart below is also interesting as a validation of the U.S. recovery because, right now, many who doubt the validity of Chinese government statistics look to Chinese power usage numbers as a tangible check on the economic growth that the government claims. Well the same works for the U.S. It has passed the ‘China’ test!